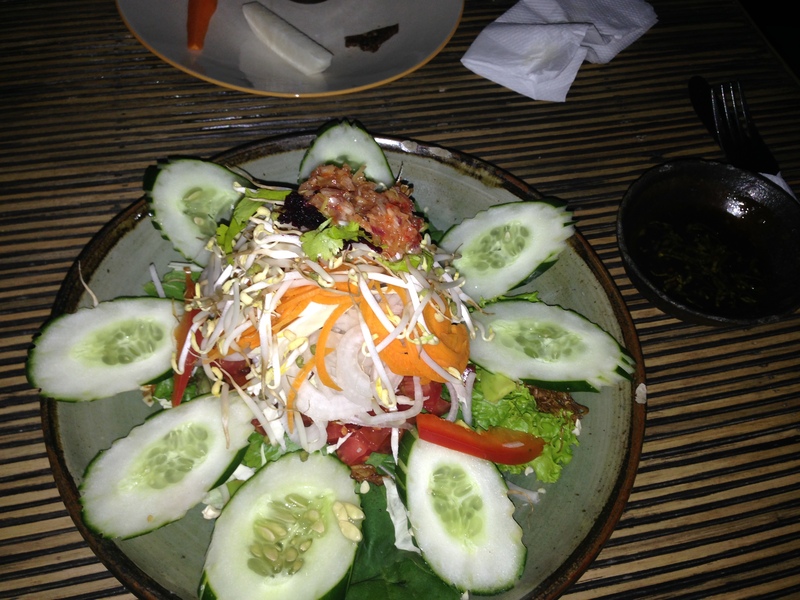 Categories: Thailand | Tags: Chiang Mai, Food, Motorbike, Thailand, trekking | Permalink. Categories: Laos | Tags: Laos, trekking, Vang Vieng | Permalink. Categories: Laos | Tags: Jungle, Laos, trekking, Vang Vieng | Permalink. As we’re closing in our departure from Indonesia it may be a right time for wrapping up our “Top 10 Indonesian experiences”. The list is not rated. 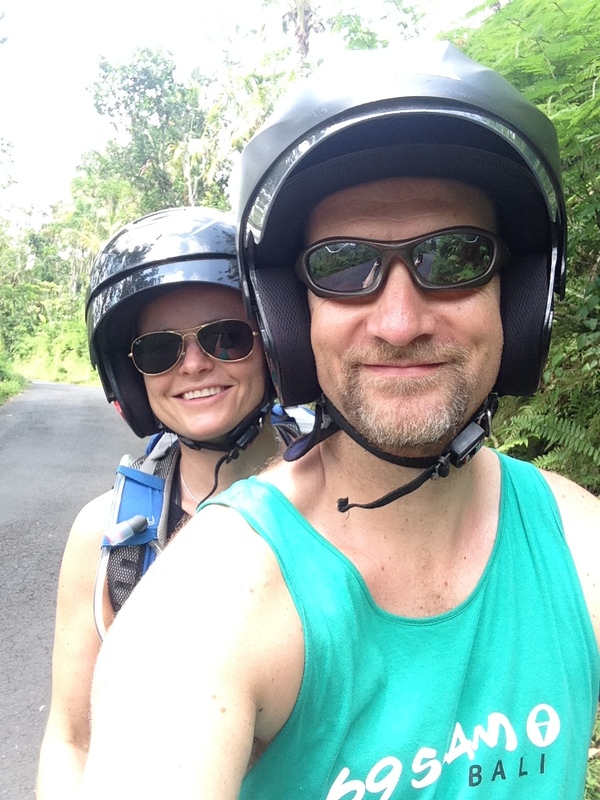 One of the last things we did was snorkel and see Manta rays. The experience was amazing, and was spiced up with the fact that we found Lillian from Norway giving lectures about aquatic wildlife and Mantas in particular. Our climb on Mt. 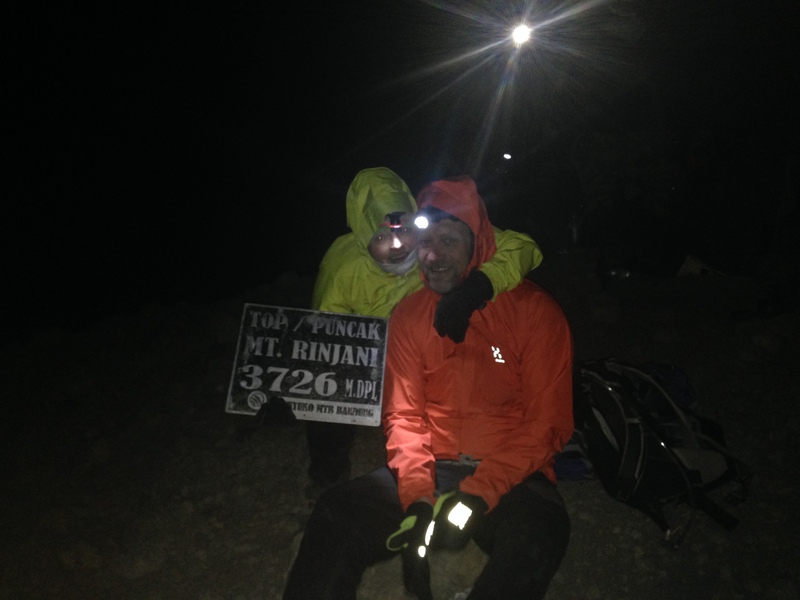 Rinjani was tough, cold, rewarding and straight out awesome. We learned about ourselves and our limits answer enjoyed a sunrise from above 3700 meters. The color green has been given a new meaning to us after our day in the rice fields. The sunlight through the rice plants were among out absolute favorites here. The fact that we ended up in an empty field by the guidance of an Australian guy, out from the house in “Eat, Pray, Love” made it just a touch more spectacular. 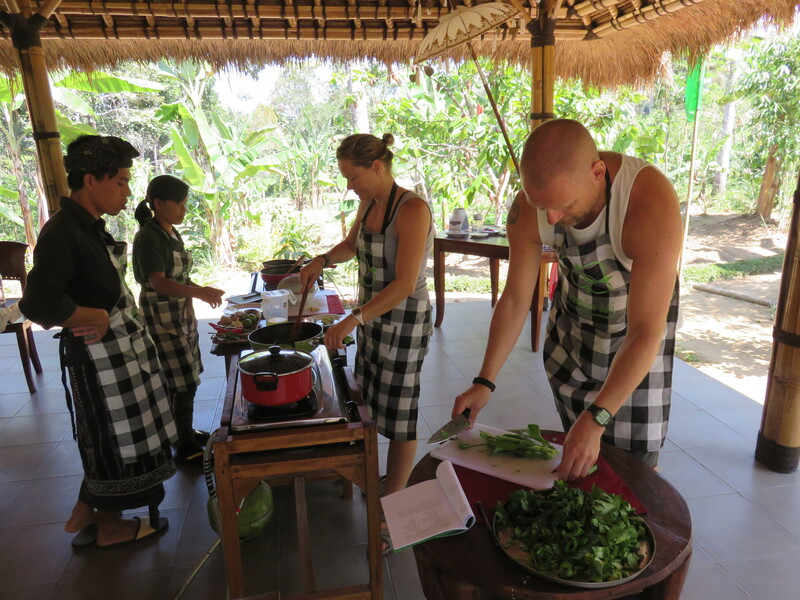 The day we spent cooking and doing it at a farm with handpicked veggies was great. The whole experience was fun and educational. That we spent it with just one other guest also adds to it. 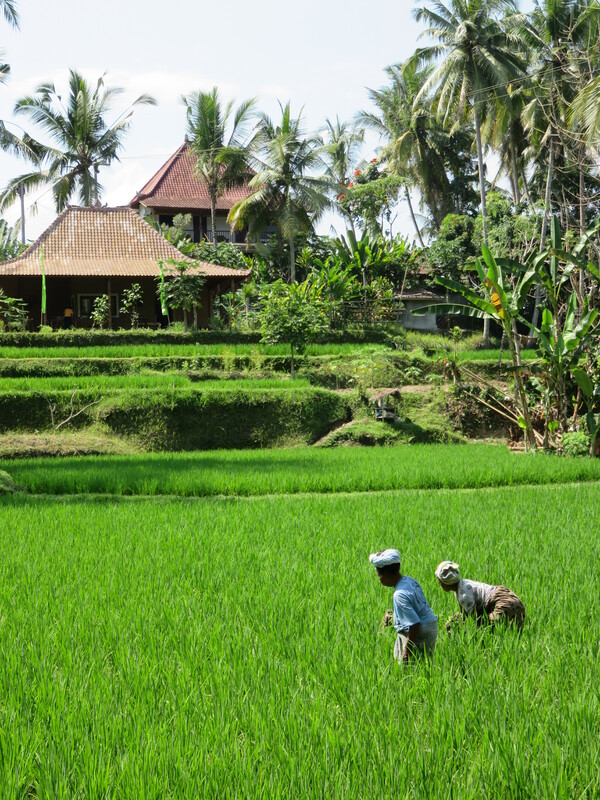 We’ve been writing a lot about yoga in our time in Ubud. And our achievements there are highlights. Acro yoga with our new found fun, and the poses we make in the ordinary yoga. Into a lot of local warungs and tried their cuisine. This has been a cool your of Indonesia as we have met the locals outside the touristic areas. Some of our best meals have been had here. But it is also worth mentioning La Ramona and our great eating experience there. 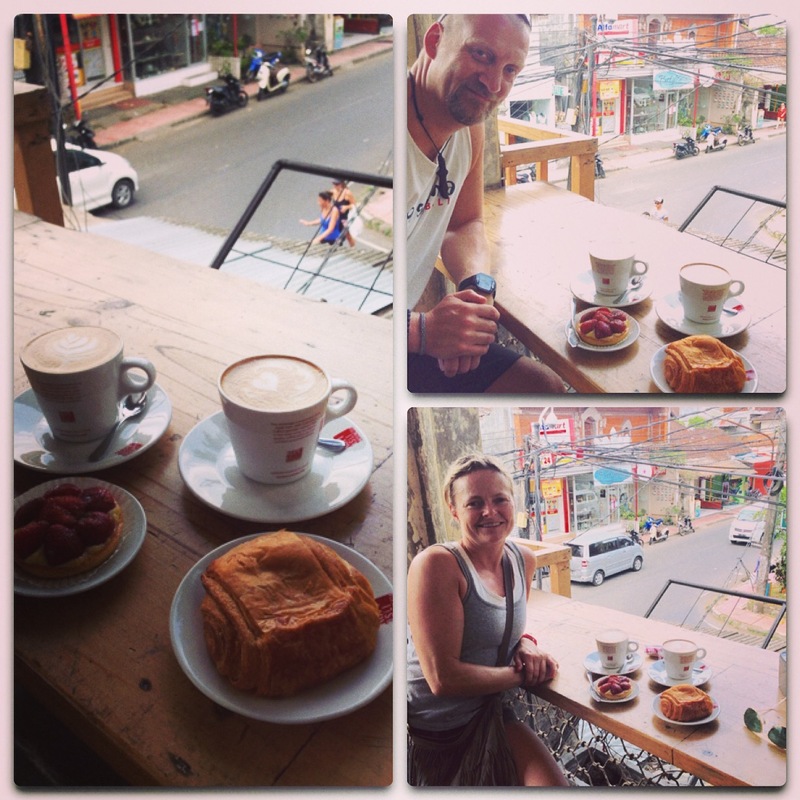 Four years ago we asked ourselves, in Bali, wether we were addicted to coffee. We did about 4 years on green tea alone until we again met Bali Kopi. The love in the reunite was instant, and we have now run away together, are planning our future and don’t care what anybody say about it. We did it! We conquered the Indonesian traffic and should be awarded medals. But alas, there is no rest for the wicked. I guess we’ll head into the Philippino traffic to prove our worth. 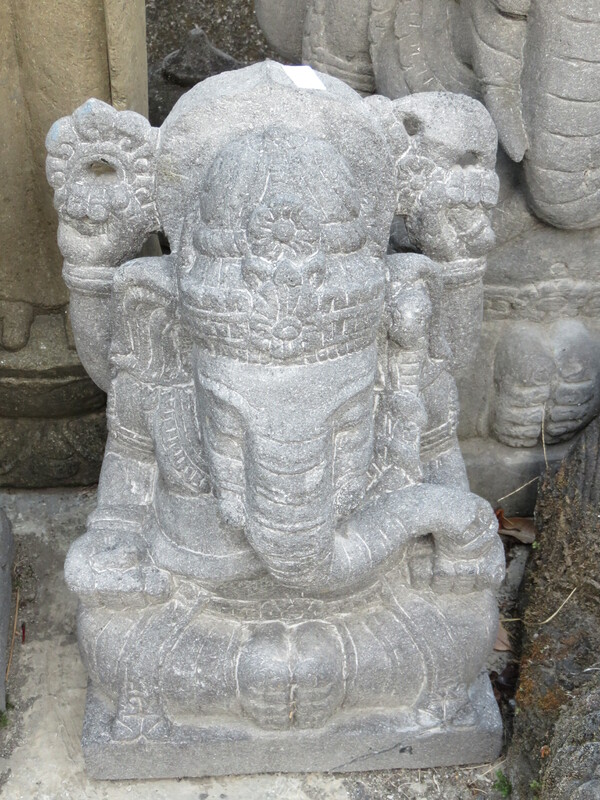 We have come to love Ganesha during these first two months. The fact that we now have one shipped back is just super cool. The way it happened with Karma showing the way ( read the post of you haven’t) just spice up the story. The beaches and Senggigi and the pool are just two of the places where the water have been a dream. To go into it and sink down into liquid heaven. The feel of coolness and just relaxing. 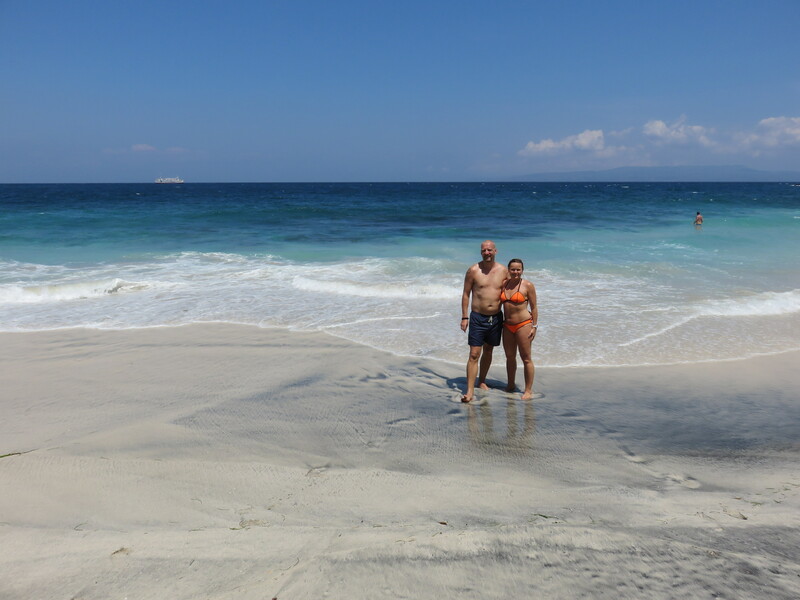 Categories: Indonesia | Tags: Bali, Culture, Food, Indonesia, Lombok, Motorbike, Nusa Lembongan, Rinjani, trekking, Ubud, Yoga | Permalink.